If you install the free trial, be careful or you'll end up with a different default search engine and homepage after installation. 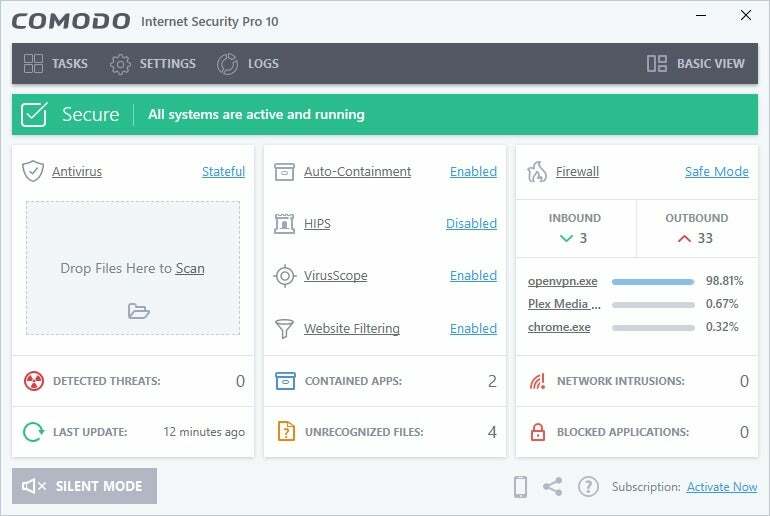 When we previously looked at Comodo’s Internet Security Pro, the company had a habit of bundling software with its security suite—and that trend hasn’t changed with Internet Security Pro 10. Underneath the hassle of warding off extra installs, however, is a security suite that does a good job of detecting threats. 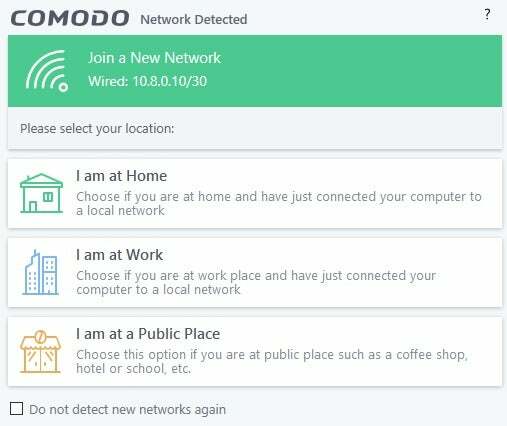 Comodo wants to change your default homepage and search engine. When you install Internet Security Pro 10, you have to read every screen very carefully. If you don’t, the program will attempt to set your browser’s homepage and search engine to Yahoo, change your DNS provider to Comodo, set Comodo Dragon as your default browser, and import all the data from your current default browser. Certainly, some users might like all that. Comodo Secure DNS is a popular choice among security enthusiasts who don’t want to use their ISP’s default service. Other security suites also route your DNS through their services. As for the browser, Comodo Dragon is a Chromium-based browser that some users might enjoy, and I guess there’s nothing wrong with Yahoo if you ignore that whole appalling security issue. But here’s the thing: Most people will just click through the install screens without reading them, and software companies count on that. It’s just...unseemly. Plus, the attempt to switch your search engine and homepage makes all the other extra software look hostile. This approach is just not a good idea, even when acknowledging that companies are trying to make a buck. There has to be a better way. 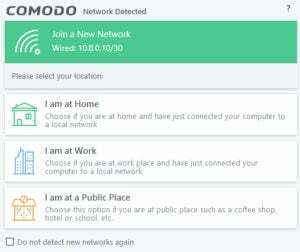 As for the app itself, Comodo Internet Security Pro has some nice features. Comodo’s interface comes in three parts: the main application window, a widget that sits in the upper right corner of your desktop, and the system tray icon. That’s a lot, but you can close the main window and get rid of the widget quite easily, leaving only the system tray icon. The widget, though, might be appreciated by some users as it has easy access to Comodo’s primary features. Comodo Internet Security Pro’s desktop widget in Windows. At the very top there’s a status icon telling you the state of your PC. (Before running your first scan, it’s yellow.) Below that is a counter informing you of your current bandwidth usage for both up and down streams. Then there’s a mini-dashboard shows the status of Comodo’s containment tasks (a feature that lets you run untrusted apps as well as browsers in a virtualized space); the number of tasks the security software is currently running; and a listing of suspect files. That last feature isn’t particularly great, given that Comodo treated the EXE files for two common and popular services—CrashPlan and Slack—as suspect. The widget also has quick access to Comodo’s four basic operations: scan, unblock applications, update, and secure shopping. Finally, you’ll see the symbols for all of your installed browsers if you’re using any of the big four: Internet Explorer, Chrome, Firefox, and Opera, plus Comodo Dragon. There isn’t an icon for Edge on Windows 10 PCs. If you open any of these browsers from the widget, they launch in a security container—one of those virtualized environments that are sandboxed from the rest of the PC. When you run a browser in one of these containers, the entire window will be outlined in green. Oddly, Edge has a tab inside the Internet Explorer container that is supposed to launch the newer browser. It doesn’t work, however. As for other, lesser known browsers like Vivaldi, Comodo ignores them. This containers feature is supposed to keep you more secure, and it does seem to be a fine feature. However, during one test, my PC became unusable after enabling Internet Explorer in a secure container. Comodo’s secure shopping feature also inexplicably ate up 25 percent of my CPU resources even though I hadn’t activated it, and I had to restart my PC. 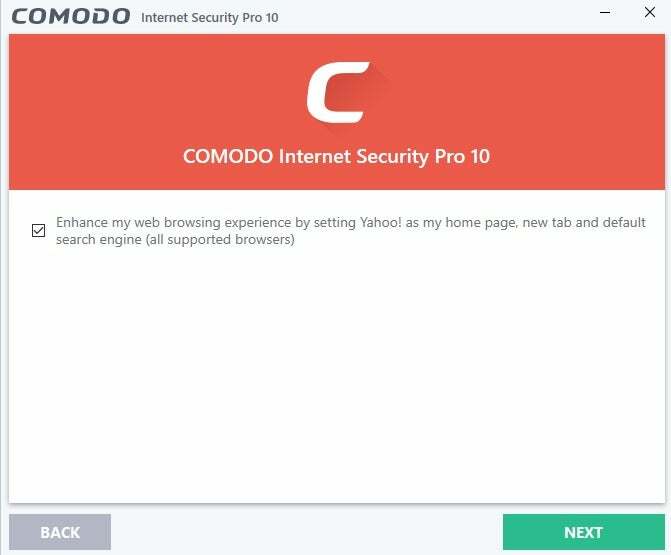 Comodo Internet Security Pro 10’s basic view after first launch. Comodo’s main application is really just a bigger version of the widget. It has the same four main options: scan, unblock applications, update, and secure shopping. Scan opens a second window where you can choose carry out a full scan, quick scan, a “rating scan” for commonly infected areas, or a customized scan. Unblock Applications is where you can re-enable any desktop programs that Comodo may have prevented from running. Update lets you manually check for new virus definitions. Secure Shopping, meanwhile, is a virtualized, sandboxed desktop environment where you can only access Windows File Explorer and a select number of installed browsers that launch in incognito mode. The idea is to create a secure space where you can do online shopping. 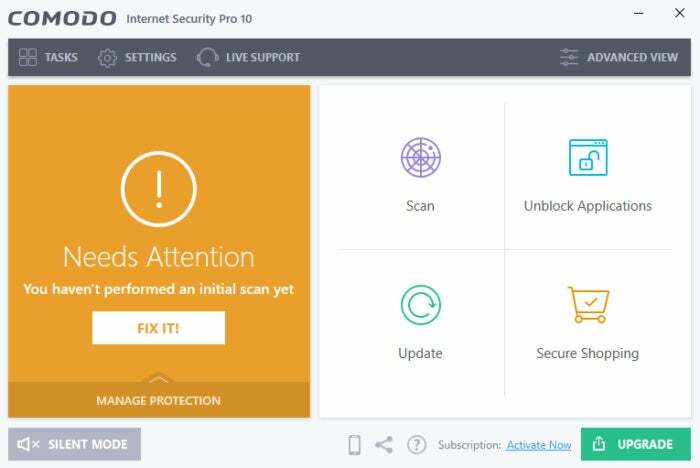 Comodo Internet Security Pro 10’s advanced view. Overall, the basic look of Comodo Internet Security Pro is clean and easy to understand. If it’s too basic, however, there’s also an advanced view that provides a lot more at-a-glance data. It includes firewall details, a list of enabled services, blocked applications or network intrusions, and other information. Personally, I prefer the advanced view since it behaves like a security dashboard for your system. It also has a nice drag-and-drop area to scan files for viruses. Comodo has a reputation for being something of a resource hog. That perception is less deserved these days, but we still found some truth to it. During our first performance test, which checks how an antivirus program affects system resources during lighter tasks, Comodo held its own against the competition. When we fired up PCMark 8’s Work Conventional benchmark, the synthetic simulation of word processing, spreadsheet editing, web browsing, and video chat churned out a score of 2507. After starting an antivirus scan, the second score for PCM8 was 2535—ever so slightly within Comodo’s favor, though not significant because the number falls within normal margin of error. However, when we moved on to our more strenuous Handbrake benchmark, Comodo caused a notable drop in performance. On our test PC, Handbrake v0.9.9 typically takes an hour, fifteen minutes, and thirty seconds to transcode a 3.8GB MKV file to MP4 using the Android Tablet preset. With Comodo running, that same file conversion took one hour, forty-one minutes, and 31 seconds. That 34.4 percent increase in time is the worst Handbrake result of the antivirus suites we’ve tested thus far. Comodo Internet Security Pro 10’s Wi-Fi connection assistant. As for virus detection, A-V Test rated Comodo’s Internet Security Premium quite high, with 100 percent detection against real-world threats like malware attacks and web and email threats. Virus detection, meanwhile, was equally high at 99.9 percent. A-V Comparatives did not test Comodo’s performance—the organization only tests security suites that are submitted to it by the vendor—nor did SE Labs. Comodo’s antivirus and malware detection is fine, but it has some of the lowest-scoring benchmark performance results we’ve seen so far. However, this program does have a very nice price of $40 per year for three devices. If you don’t mind the slip in performance for resource-intensive operations, then Comodo is a fine choice. For those with mid-range PCs, however, you’d do well to look elsewhere.